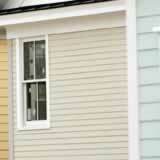 Do you have an unlimited budget for installing new vinyl siding on your home? If you're like most homeowners these days, the answer is a resounding, "No!" Just about everyone could use a price break on their home improvement projects during these challenging economic times. Vinyl can be a good choice as a budget-friendly exterior cladding for your home, but if you play your cards right, it may be possible to get an even better deal on vinyl siding prices. Color and style. Many siding distributors only stock popular colors and styles of vinyl siding and if you order a selection they don't carry, you could incur additional charges. It might be possible to get material price breaks on overstocks and older styles that have to be moved off the shelves. Time of the year. In most parts of the country vinyl siding can be installed year round, but contractors often find their schedules to be a little light during the colder months. If you're flexible on your installation schedule, you may be able to get a break on labor costs. Negotiate. Negotiation seems to be a dying art, but you can bring it to life once again. Ask your distributor or contractor if a discount is available if you pay by cash, versus credit card. Don't expect them to give away the store, but make sure you find out about any price breaks that exist. You may not be able to use all of these tips to lower your siding prices, but if just one of them works, it can keep a little extra cash in your pocket for your other projects.